How to view details for an assigned job. 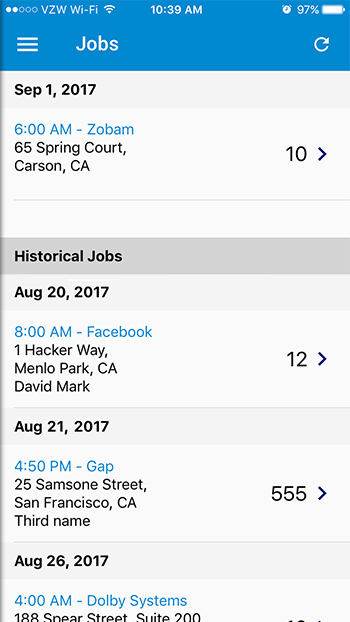 All future assigned job and historical (last 7 days) jobs for a user is displayed on the Jobs Summary list. Each list includes the schedule job start time, the jobs origin address and contact, and the number of currently assigned tasks. To view additional details on a job or begin working on it, click on it to view the Job Details page. Pro Tip: the page can be refreshed by clicking the round circle icon in the top right.